I just picked up the remote for my hifi to discover it was hot. It was, of course, the batteries generating this amount of heat. Naturally, the remote would not work, so I removed the batteries and replaced them with new ones. 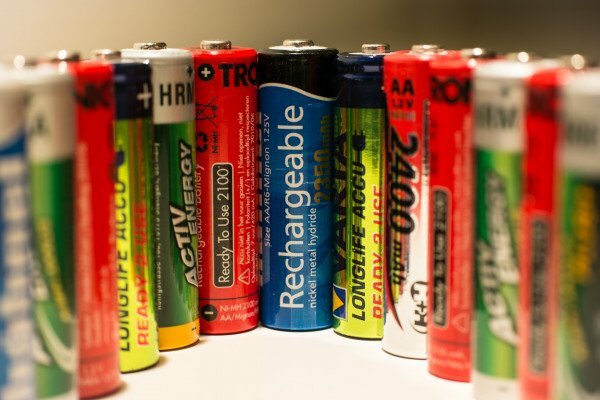 Why do the electrolytes in some batteries get hot when the battery dies, whereas other batteries just die without generating heat? What chemistry suddenly takes place, which was not taking place before, that generates this heat? Dave - Charging batteries isn't 100% efficient and similarly, discharging batteries isn't 100% efficient. The way electronic engineers like to think about it is that the battery has a resistance, so if you draw a current from that battery then you're pushing that current through a certain resistance and so, it will heat up. If you short out a battery, basically taking a wire from under the battery and connecting it to the other end of the battery then there's no resistance anywhere else - there's nowhere else the energy to go so all that energy will get dumped into the internal resistance of the battery and it will get very, very warm. One thing which could've caused it is that your remote control somehow shorted itself out. That could've been in the remote control itself, but if you changed a battery and it worked fine, then probably not - but it could also be inside the battery. Something could have even gone wrong with bits of metal touching inside the battery. Chris - That's good. So it sounds like, if nothing else is to blame, probably the battery has developed an internal short and shorted itself out, and it's dissipating all the energy into itself, making itself get hot. Dave - Yeah, certainly in a remote control because the remote control draws so little current, that there shouldn't be enough power being dissipated anywhere else. Previous Why do bits of my kids grow at different rates? Next How does a fly fly in an elevator? Working as a nurse, I carry a set of keys in my pocket. Yesterday evening I became aware that I had a sense of heat at the side of my right hip. I put my hand into my right pocket over this area, and when I grasped the keys some of them were so intensely hot i involuntarily dropped the keys on the floor. I felt the uniform material over my pocket where the keys had been, it was significantly hot. I guessed immediately that the source of the heat could be a triple A battery I had pocketed earlier to place in the recycling. Presumably the keys next to the battery caused generation of heat within the battery as described above? When I took the battery out of my pocket it was too hot to hold, and the outer surface was crinkled and dull rather than smooth and shiny. Could it have ignited? Thanks for your thoughts on this. My. iPhone is hotter always why? A chemical reaction is occurring inside the battery to produce the electrons that constitute the electrical current powering the phone. The latest generation of phones use a LOT of energy, so the battery has to provide a high current to supply the device. The reaction itself can liberate heat, and the conductors inside the battery have a bit of resistance, so some of the electricity is converted into heat. Is it safe to leave a hot battery in a doorbell transmitter? If a cell is becoming hot that is usually a sign that it is producing a lot of current. That may be normal, but more likely it's a sign of a short circuit, which might be unsafe. A doorbell transmitter should be a very low-current device and I would be surprised if it were normal for the battery to become hot under normal operation, unless there is some other source of heat, such as a light bulb nearby within the device that might be warming things up.